Established in 1931, GIA is the world’s foremost authority on diamonds, coloured stones, and pearls. 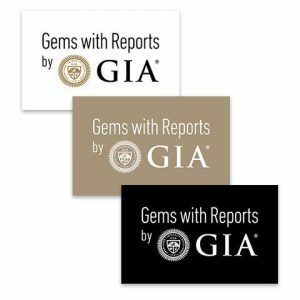 A public benefit, nonprofit institute, GIA is the leading source of knowledge, standards, and education in gems and jewellery. In the 1940s, GIA established the “4Cs” and the International Diamond Grading System – to this day, the worldwide standard for evaluating diamond quality. 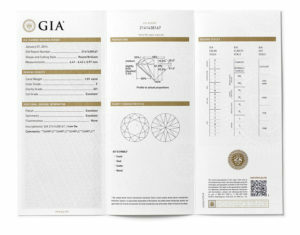 Every diamond that I use and sell is GIA certified to show that the diamond is real and natural. Whenever you buy a diamond always ensure you are given a diamond grading report which will include an assessment of the 4C’s – Colour, Clarity, Cut and Carat – along with a plotted diagram of its clarity characteristics and a graphic representation of the diamond’s proportions. Through research, education, and unbiased gem grading and analysis, GIA strives to protect the gem and jewellery buying public by setting global quality standards.